Quickly view an alternate image/video simply by placing mouse over the product image. 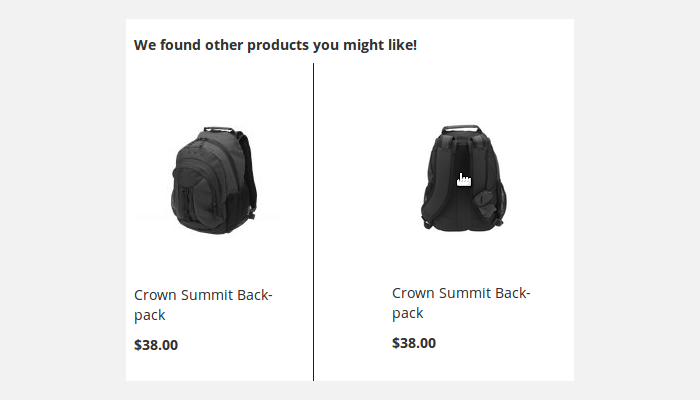 It allows customers to view products from all sides. 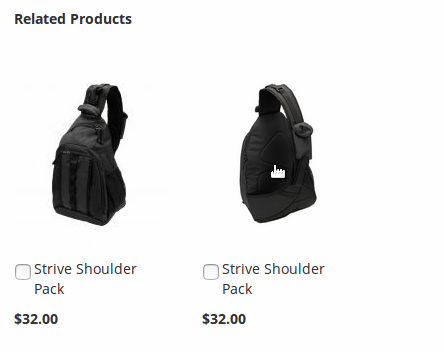 Product image can be flipped in different ways such as horizontally, vertically, rotate and none. 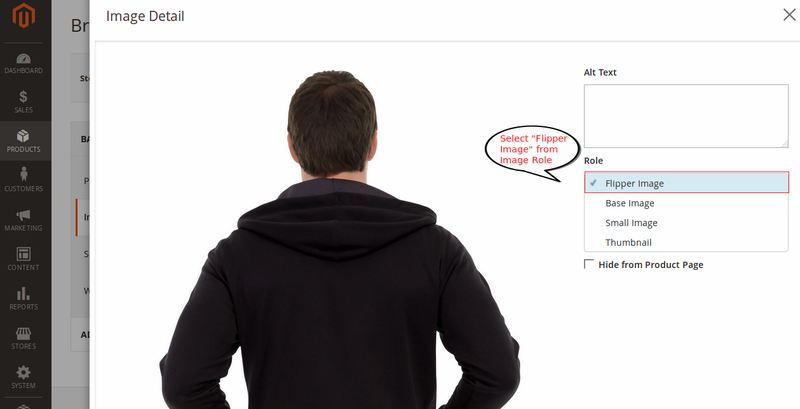 You have facility to upload a new image or select an existing product image which will be used as flipper. It works with home page, category list, catalog search list, related product list, up-sell product list and cross-sell product list. It provides facility to customize product container class name and image class name for custom theme. It supports product image flipper in mobile view. Want to convince your customers to shop more? Are you looking for ways to reduce returns? The best way to generate more sales is to show your customers what to expect when they will buy from you. 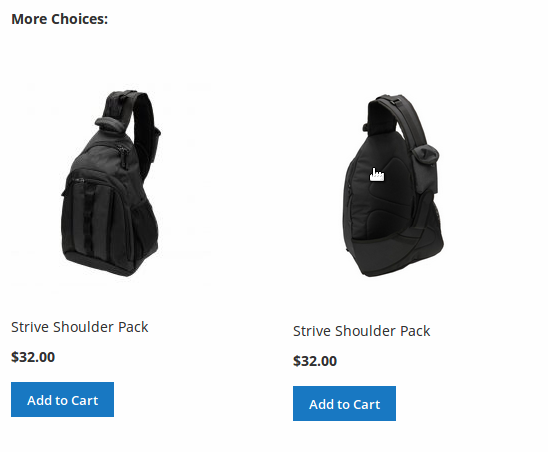 Flip product images easily with the Magento 2 Product Flipper Extension. The easy-to-manage module allows you to rotate and flip products vertically as well as horizontally. 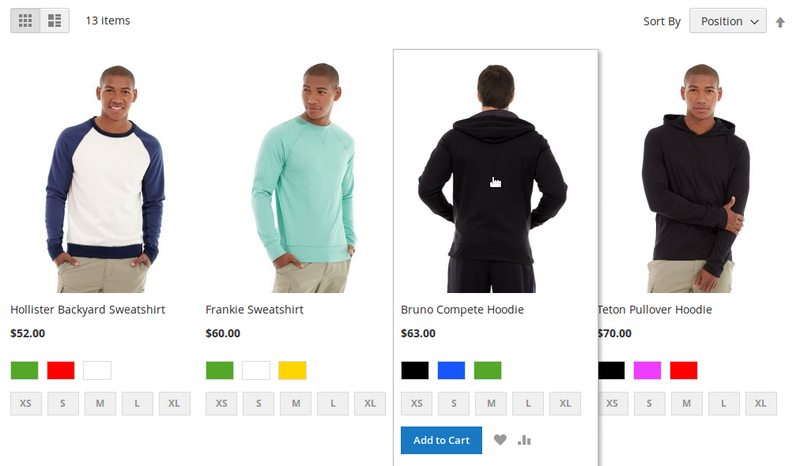 Show multiple alternate product images on mouse hover and get ready to attract more buyers! The module works with up-sell, cross-sell & related products as well. Quickly view an alternate image simply by placing your mouse over the product image. 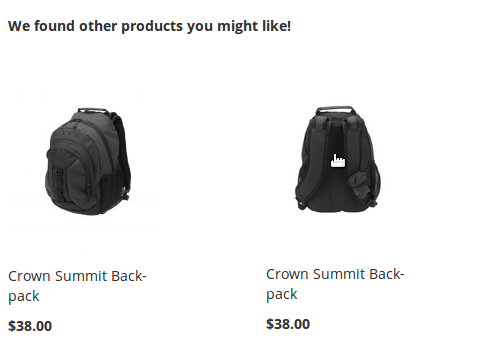 It allows you to show the front/back of a product. While editing the product, you can select which product image will be flipper image by choosing “Flipper Image” role from Images and Videos option. You can Enable/Disable module from configuration settings. 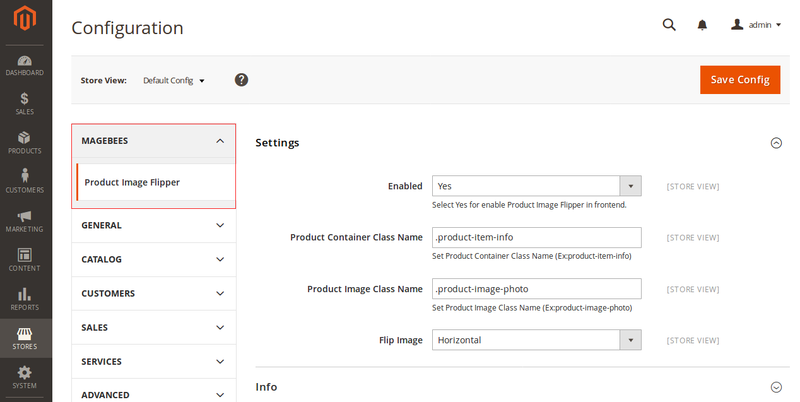 If your site has custom theme, provide product container class and product image class selector input field for flipper image. You can flip the product image in different ways: vertically, horizontally and rotate with "Flip Image" feature. 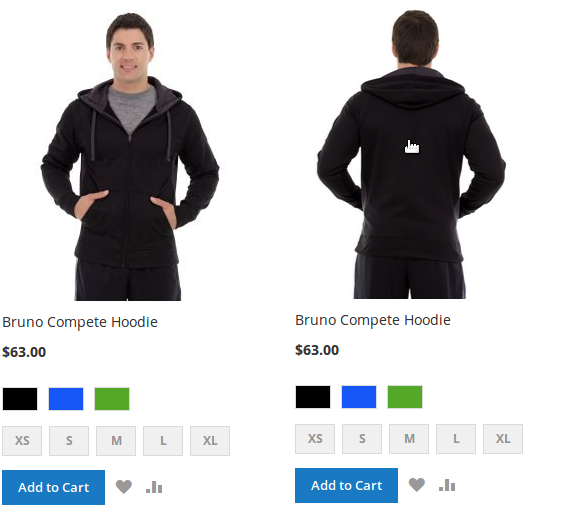 This extension is a real capture for our clothing store as we require image flipper function for showing our products and let customers to see the back of an product. This is a magnificent product image flipper extension by Magebees for developers and designers. We are selling apparels and it is useful extension to present our products nice to our customers. Its easy to install and simple to use it. I didn't found any better Extension in market to satisfy my apparel store necessity. 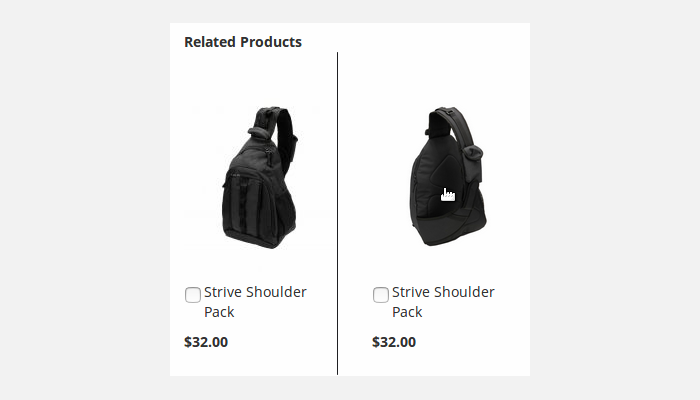 I can set images on hovering mouse arrow on product image. It is mobile friendly and suggested extension for Magento 2. Purchased this extension for our endeavor version and it worked impeccably with no issues. We contacted support for a short questions and answers and they rushed to respond. Extraordinary product with incredible support. Product Image Flipper is an absolute necessity for us as we offer apparel and this is an extraordinary way for the client to see the back of an product. It was anything but difficult to setup and configure. Looking for this extension from long time and luck got it from MageBees. We are running clothing store so we require image flipper feature for displaying our products. The extension works as guaranteed and giving outcomes according to my desire. This extension made my site effective with it's awesome features.It was very easy to setup and configure. => Fix Image Fliper Issue on Mobile device. => Make Compatible With Magento 2.3. Q-1: I have tried to install Product Image Flipper extension using terminal, but I am not able to install using command line, what are the steps for custom installation of Product Image Flipper extension? Ans : Please Contact us for installing the module in your store. Q-2: I am getting error in console for magebeesFlipper.js not found. How to solve this problem? Refresh the page in Front-End.